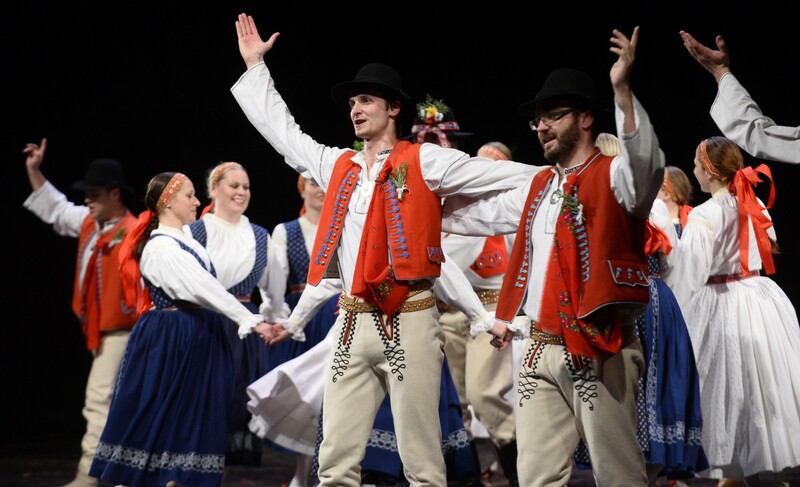 Be sure when Folkmoot Festival 2018 rolls around to Czech the box of the Folk Ensemble Kašava – yes, of the Czech Republic! We’re sure Kašava will be a big hit at the 2018 festival! Kašava was founded in 1971 in a village of the same name, situated in the northern part of the Zlin region of the Czech Republic. Zalesi and the flat region of Hana. Apart from individual dances the repertoire of the ensemble includes scenic items combining music, dance and features of drama. These arise both from folk rituals and customs and folk materials reflecting serious points in the life of past generations from the particular region. One of the specific features of Kašava’s focus is the reconstruction of extinct Christmas and Shrovetide custom plays. The work of the group’s members is arm in arm with the effort for preserving the ethical and aesthetic values of the traditional folk culture. Kašava holds thematic folk programs and traditional dance balls for the public, attends annual caroling and takes part in festivals at home, throughout Europe and, now, the United States. An important part of the Kašava members’ activity is their work with children. Six children’s folk groups have been organized and roughly 150 children participate on a regular basix. The leader of the troupe is Ondrej Pavlistik. Its music director is Katerina Dlabajova and the choir director is Petra Pavlistikova. Please visit the troupe’s website and befriend them on Facebook! Folkmoot will be pleased and proud to present this summer Kašava!